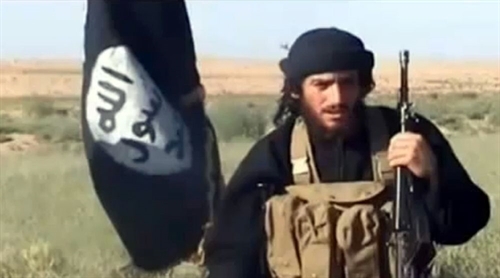 BEIRUT – One of the Islamic State’s top leaders, Abu Mohamed al-Adnani, described by the US as the "principal architect" of the group’s attacks on the West, has been killed in Syria, the jihadist organisation announced. The United States said coalition forces had carried out an air strike targeting Adnani in Aleppo province yesterday and that it was still assessing the results of the raid, but that his death would be a major blow to the group. One of IS’s most recognised figures, Adnani had called for lone-wolf attacks on civilians using weapons including knives and even vehicles, as happened in Nice on July 14, when a jihadist drove a truck through crowds of revellers, killing 86 people. IS news agency Amaq said Adnani "was martyred while surveying operations to repel the military campaigns against Aleppo" and pledged to avenge his death. In Washington, Pentagon spokesman Peter Cook said Adnani "has served as principal architect of ISIL’s external operations and as ISIL’s chief spokesman," using another name for the group. "He has coordinated the movement of ISIL fighters, directly encouraged lone-wolf attacks on civilians and members of the military and actively recruited new ISIL members," he said. Adnani, who had a US$5 million US bounty on his head, was originally from the western Syrian province of Idlib and joined the jihadist movement in Iraq, where he served under late Al-Qaeda leader Abu Musab al-Zarqawi. Aymenn Jawad Tamimi, an expert on jihadist groups, said his death was "significant symbolically and in pointing to the wider decline of the Islamic State". "If a coalition air strike hit him, it shows intelligence penetration by the coalition is very high," he said. A US defence official described him as one of IS’s most senior leaders and far more significant than simply being the group’s spokesman. "Most notably, he served as ISIL’s chief of external operations, directing and inspiring major terrorist attacks outside of Iraq and Syria," he said, linking Adnani to a string of high-profile attacks that have killed hundreds, including in Paris, Brussels and Istanbul. "If confirmed, this is a very significant blow for ISIL, and will degrade its ability to direct and inspire terror attacks on the West," said the official who declined to be named. Adnani’s death came as Kurdish-backed militias in northern Syria agreed to a US initiative to stop fighting Turkish forces, whose week-old incursion in the country has stoked tensions between Washington and Ankara. The truce was announced separately by a senior US defence official in Washington and the Kurdish-backed Syrian fighters, but Turkey neither confirmed nor denied it had agreed to hold fire. Turkey launched an unprecedented cross-border offensive into Syria last Wednesday, its most significant move since the start of Syria’s bloody civil war more than five years ago, saying it was aimed at ridding the frontier of both IS jihadists and a Kurdish militia. Kurds have carved out a semi-autonomous region in Syria’s north and northeast, with their People’s Protection Units (YPG) becoming a key partner of the US-led coalition fighting IS. The YPG is also a key component of the Syrian Democratic Forces (SDF), which groups diverse factions battling the jihadists. Ankara fears the emergence of an autonomous Kurdish region in Syria would bolster the rebel Kurdistan Workers’ Party (PKK) across the border in southeastern Turkey. At the weekend, Turkish forces killed several Kurdish fighters while its tanks rolled across the border to help Syrian Arab rebels rout IS from the frontier district of Jarabulus. The military operation triggered alarm bells in Washington, which is trying to contain the violence between its Turkish and Kurdish allies. "In the last several hours, we have received assurance that all parties involved are going to stop shooting at each other and focus on the ISIL threat," US Central Command spokesman, Colonel John Thomas, said. At the United Nations, Russia questioned the findings of a UN-led investigation that blamed the Syrian regime for chemical attacks, saying they were not conclusive enough to trigger sanctions. Britain and France have called for sanctions after the investigative panel found that President Bashar al-Assad’s forces had carried out at least two chemical attacks, one in 2014 and one in 2015. Following a closed-door Security Council meeting to discuss the report, Russian Ambassador Vitaly Churkin said he had serious questions about the findings and suggested the panel should continue its work.